It is an up-to-date report mainly focusing on the latest livestock & feed weekly market news, policies, and enterprises info, weekly prices of livestock & feed products . And at the end of every month, the special imp & exp data for all kind of the livestock & feed will be supplied. News: It reports dynamic issues related to policies, technologies, development, trade, etc in the field of livestock & feed industry and its correlated industry. Data Statistics: It covers current conditions of staple materials for main feed varieties, including corn, soymeal, fishmeal, methionine, lysine and feed ingredients; feed varieties for industry use, broiler, layer, hog, ruminant and aquatic feed. And it provides livestock imp & exp amount by countries, customs and provinces as well as meat and feed output. Analysis Forecast: It covers an in-depth analysis on market change, future trend and policies both at home and abroad in domestic livestock and feed market and its correlated industry. Supply & Demand: It regularly releases domestic supply & demand balance sheet for meat and feed in order to estimate supply& demand conditions in key meat and feed markets. Port Trends: It reports volume, consumption, stock and price change of imported feed ingredients and meat via ports. Price Trend: It monitors purchasing, factory, wholesale and selling prices via ports of main feed ingredients and livestock varieties as to forecast the future prices. Pork: On May.11, 2011, at pork wholesale markets of 36 medium-sized and large cities, the average price of fresh boned leg meat and lean pork (not tenderloin) is RMB20.28/kg, up by 1.72% on the basis of last week. 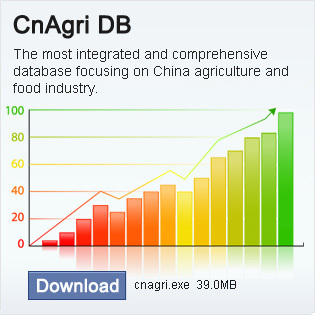 This week live pig price is up to RMB15.14/kg, it is expected that pork prices will move up.